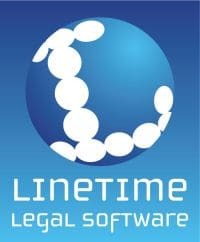 Leading UK commercial law firm Shepherd and Wedderburn has invested in the Liberate matter management application from Linetime to help improve process efficiency across the firm. The firm recognised the need to further invest in technology to maintain current high service levels. Primary requirements included a seamless link to its HP WorkSite implementation and integration into the Outlook environment, which is set up with ease of use in mind, and in a manner that can quickly be deployed. Following a review of the systems on the market, the firm identified Liberate as the right solution for delivering the necessary integration, greater efficiencies and tighter control. “The Liberate platform will allow us to provide matter management capabilities to our lawyers through a familiar Outlook environment that will ease user adoption and improve efficiency throughout the business,” said Steve Dalgleish, applications manager at Shepherd and Wedderburn. Linetime development director, Phil Snee added “We are delighted to welcome Shepherd and Wedderburn on board as part of our growing community of blue chip matter management customers. This reflects our commitment to the case and matter management arena and our continued development of feature rich software that is easy to manage and maintain”. Shepherd and Wedderburn is a leading UK commercial law firm with over 500 users in Edinburgh, Glasgow, London and Aberdeen.